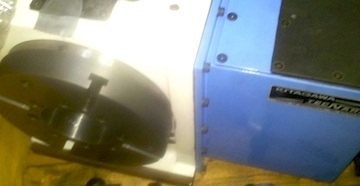 This is a Really Nice CNC Rotary table in excellent like new condition ! Top of the line Japanese quality. A real beauty. 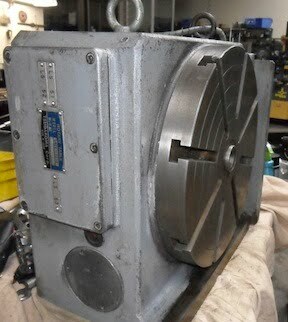 Kitagawa Rotary Table - 10"
This is a really nice used Troyke 5C Dual Head CNC 4th Axis Rotary Table. It is set up with built in pneumatic collet closing units. This is ready for you to put right into production! 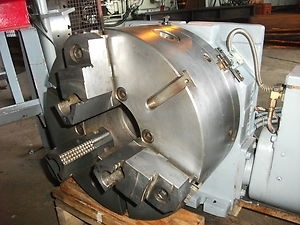 This is a really nice used 9" Troyke DL-9-B 4th Axis CNC Rotary Table. Simply add a motor to match your machine and away you go! 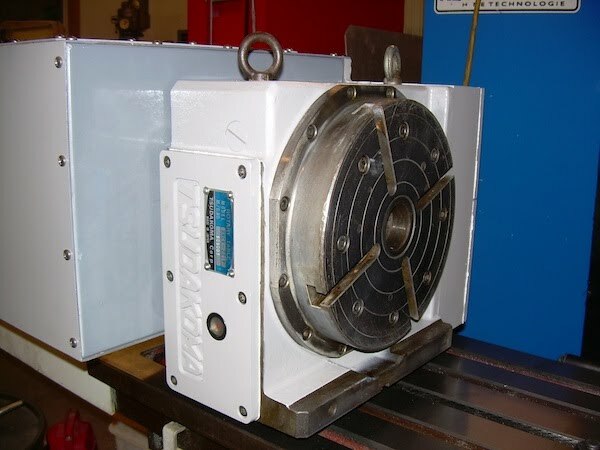 You can use this with your Centroid M400 or M39 CNC Control, by adding the 4th Axis Drive and Motor/ Cable Package for $2,250.00 This will give you a HEAVY DUTY TROYKE ROTARY TABLE and you can start making some cool parts! This Troyke can be used on ANY CNC Controlled Machine as well. 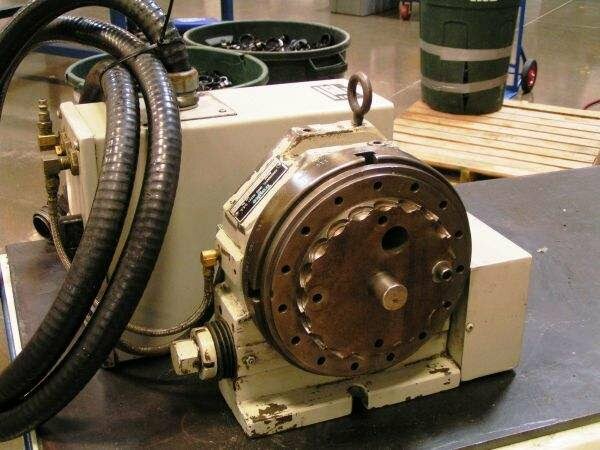 This is a really nice used Tsudakoma RNCV-201R CNC 4th Axis Rotary Table. No Motor on unit. Rotary Table shown on machine, machine not included. match your machine and away you go! collet closer ! With a collet adapter you can use either 3J or 5C collets. 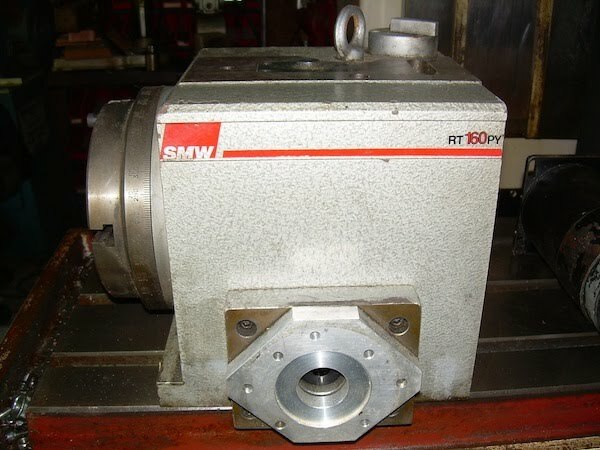 The unit will work with your supplied motor and cable and 4th axis ready machine. Like new Chick System 5 1550 4 sided Multi-Lok tombstone Chick 5ML-1550-41. These are the ultimate fixturing system for you Horizontal Machining Center or Vertical full fourth axis. to job a breeze. Accomplish change overs in less than 1 minute per side. 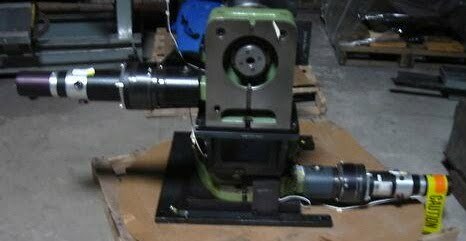 This is a Used 16" Walter 400 NES CNC 4th Axis Rotary Table. 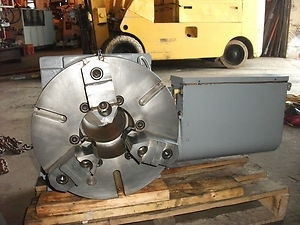 Quality German Built Rotary Table. Turn your Vertical into a Horizontal. SEE OUR CHICK TOMBSTONES in my other listings as well !! 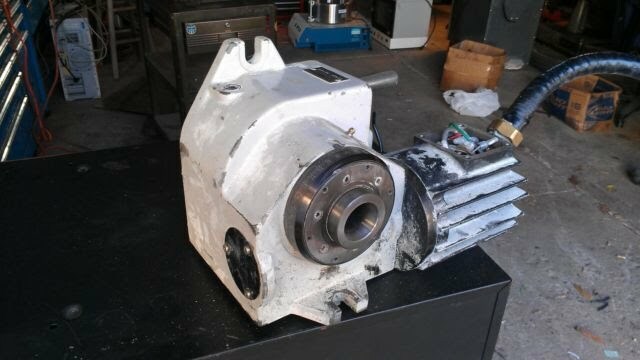 This is a solid Used Yuasa 5C Indexer This is Japanese made, hard to find. Save thousands and get a better indexer. Made in Japan by Yuasa. This is a nice used 12" Tsudakoma RNCV-301R CNC 4th Axis Rotary Table. Tsudakoma has the highest QUALITY Rotary Systems money can buy. 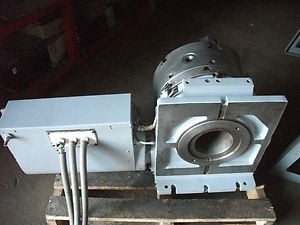 This 301R almost 12" Rotary Table can be yours at a fraction of the cost of new. This is a Heavy Duty Table ready to go on your machining center. can be used on ANY CNC Controlled Machine as well !!! on your Horizontal or Large Z Travel Vertical Machining Center. 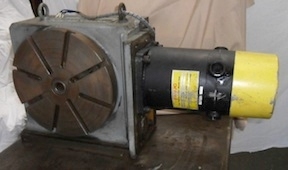 It has a 16"
you could use them or change them to whatever type of motor your machine requires. This is an amazing value on a high precision fixture. your motor to its existing coupler you see in the picture. These are German built of the highest quality.